[prMac.com] Toronto (ON) Canada - Zevrix Solutions announces the release of BatchOutput PDF 2.2.25, a maintenance update to the company's PDF printing automation solution for Mac. The software allows users to print PDF files from watched hot folders, saving the time and effort of opening and printing each document manually. The new version introduces support for the recently released macOS 10.13 High Sierra and is offered as a free update to licensed users. BatchOutput PDF has also been upgraded to 64-bit architecture, which improves the app's performance and reduces the likelihood of memory-related errors. 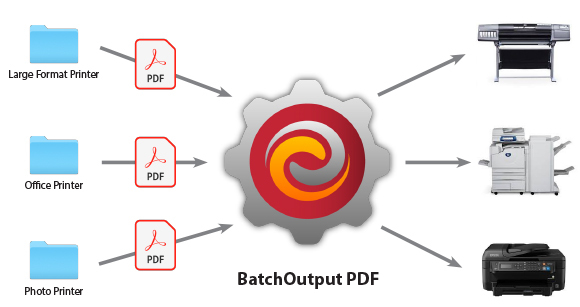 With BatchOutput PDF users only need to drop their PDF files into watched hot folders - and the software will print the documents automatically using the hot folder settings. For example, the users can create hot folders for color and black-and-white printers, specific paper sizes, duplex modes, various color profiles and other controls. BatchOutput PDF can be purchased from Zevrix website for $24.95 USD (Server version $99.95), as well as from Mac App Store and authorized resellers. The update is free for licensed users of version 2. Trial is also available for download. BatchOutput PDF supports macOS 10.7-10.13.